This surreal looking image is not an optical illusion- but in fact a real man-made structure called a Ecoduct. 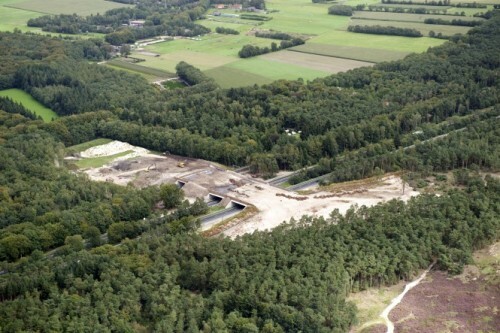 They are placed in strategic positions in the Netherlands in the shape of bridges and tunnels. These are created to provide a save passage for walking, crawling and even flying wildlife. 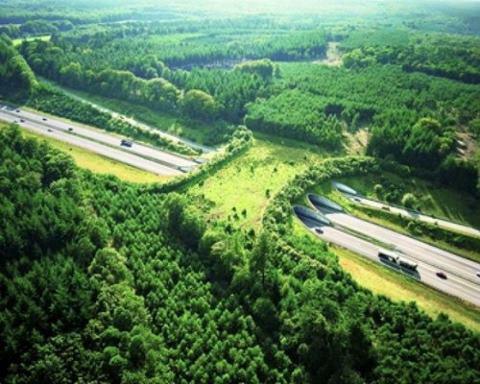 The Ecoducts literally create a bridge between habitats so animals can freely find food, reproduce and thus survive. Amazing example on how our intelligence can be used to live with nature and not just in it.